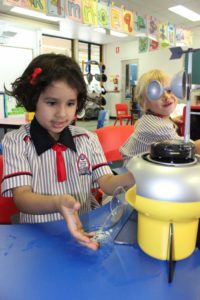 When visiting the Early Years classrooms at St John’s Anglican College you will be amazed to see what our very youngest students are learning. Literacy and numeracy are not the only essential components of the St John’s program – STEM also has a significant place. STEM is an acronym for Science, Technology, Engineering and Mathematics and it is much more than four single subjects. In fact, it is more like a way of thinking about learning that integrates knowledge across the subject areas. We know that children learn best when they can make connections across different disciplines and contexts and traditional approaches to teaching subjects in isolation do not provide the optimum learning experience. Therefore, children in these settings may not reach their full potential. The Early Years program at St John’s is different. It introduces every child to inquiry learning and investigations in STEM which provide opportunities for deep, collaborative learning and the use of a wide variety of technology. These opportunities blend perfectly with the units of inquiry we teach through the International Baccalaureate (IB) Primary Years Program. 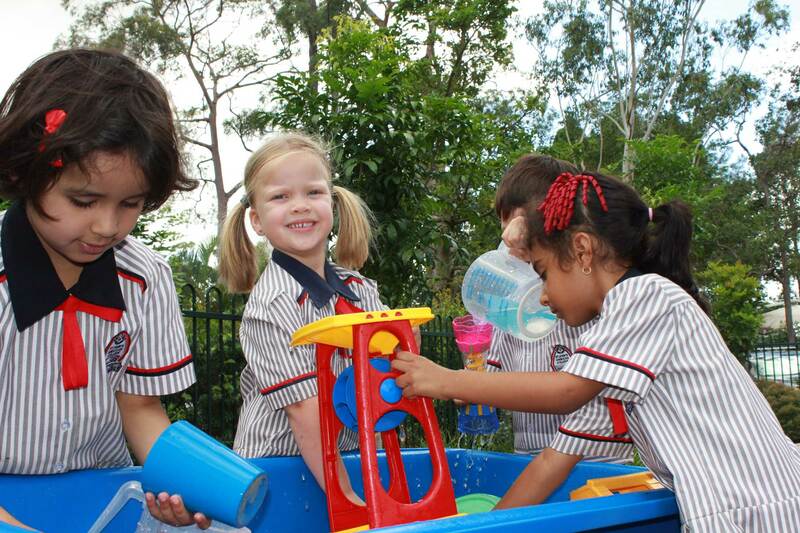 St John’s is pleased to announce that we are now an IB World School which means that all students from Kindergarten to secondary, now have the wonderful advantage of a world-class education.